Meredith Marina has one of the best selections of new boats for sale in NH on Lake Winnipesaukee, with leading brands across all boating segments. 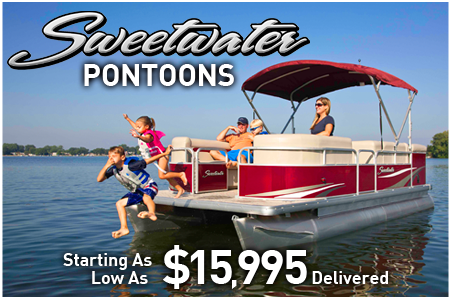 We carry the #1 pontoon boat line of Godfrey Pontoons, with the SanPan, AquaPatio and Sweetwater models. 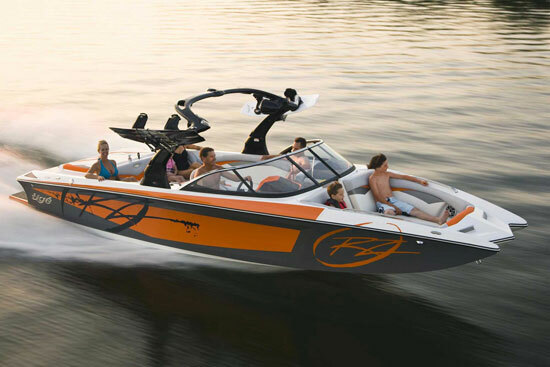 We also carry one of the most advanced and fastest growing wakeboard, wake surf and ski boat lines in Tige, as well as the #1 deck boat line, Hurricane. 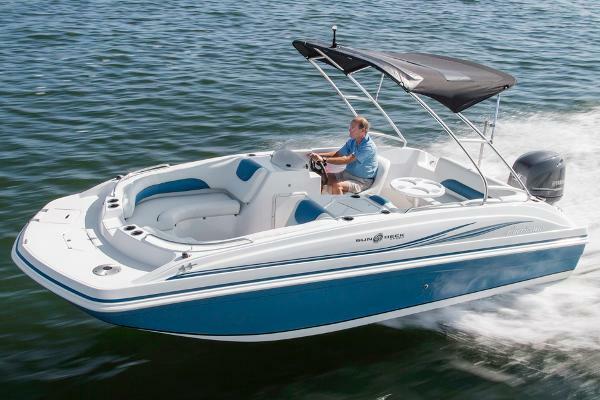 Our Rinker line ranges from 18-foot bowriders to 42-foot express cruisers. Sorry, no racing boats here. 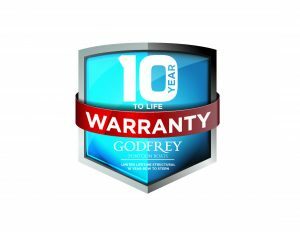 We focus on the family boater, and our family wants to make sure your family can experience the joy of boating. To search our new boat inventory you can view the current inventory below, or use the search tool and click through to a particular product type to narrow your search. You also can use the Virtual Showroom page to see the many types of boats that are available and can be ordered – figure out what options you like and give us a call so we can get you on the water.